Archangel Michael connects in this guided mediation to assist in attuning your personal atmosphere so that you can receive the spiritual truth ,divine love and enlightenment present on Earth now. This meditation will help you to tune into, remember and experience your spiritual gifts and abilities. Michael assist you in attuning yourself vibrationally to receive these direct frequencies of the Divine by aligning your personal atmosphere which includes your aura, energy body and light body with infinite Divine Love. Relax, Breathe, and Listen to Tune in. ***This guided meditation with Archangel Michael is available as an .MP3, on YouTube, or transcribed into a written angel message below. channeled by Sanaya Roman. Click below to listen, or right click (ctrl click mac) to save to your computer. Listen to this message as a YouTube Video Slideshow below, or scroll down below that to read the transcription of this guided meditation with Archangel Michael. Greetings, beloved one. Indeed, we are here. Indeed, it is I, Archangel Michael who speak these words and say to you, indeed! Spiritual, vibrational patterns, frequency of divine love and enlightenment, spiritual truth and awakening are broadcast into your plane now. Enlightenment, remembering, and divine attunement to peace and to your spiritual gifts and abilities is made possible through resonance and through attuning yourself vibrationally to receive these frequencies of the divine. For, indeed, divine love and guidance, and beings of spiritual essence and form are present in this now and simply separated from you on what is likened to a different frequency on your radio. If you would like to hear a certain song you need to be attuned to that frequency, to that particular wavelength. So is it true to tune in to your angels, to your ancestors, to your guides, to the spiritual vibration of enlightenment and love, you must attune your energy to the right frequency to receive, one that is resonant, compatible through vibrating with a similar pattern. 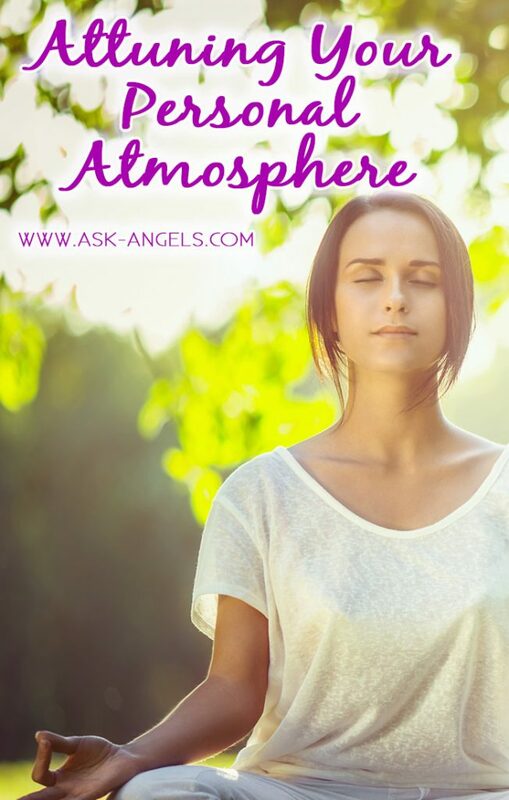 In every moment, there is a personal atmosphere of energy around you. Your thoughts and your emotions and your beliefs, determine the reality you perceive and experience. You may ask for signs from the spiritual realm and, yet, without attuning yourself to receive this vibrational energy signature of spirit, if you are still focused solely in the physical realm, much of the communication will be missed. In a similar matter, great spiritual peace, light, and wisdom is broadcast down upon you now. And so we wish to assist you in attuning yourself to receive this spiritual transmission. Initiation, a divine transformation of your personal atmosphere, to align your thoughts, emotions, beliefs, your frequency surrounding you at all times, with the love and the compassion and the enlightenment that propels you forward on your spiritual journey of awakening and of contributing your unique gifts, abilities and service, which holds the key to bring transformation to humanity and to earth, freeing the collective consciousness from the clutches of power, manipulation, and control. These too are thought patterns, and this vibrational atmosphere surrounding the earth can influence you subtlety, if you are not aware. Y es, you are accustomed to filtering out much of these atmospheres of others, only perceiving feeling and experiencing those that are in vibrational resonance with your own. This teaching is in agreement with the principles of manifestation and attraction, which you have learned, which are prevalent in your plane now, that what you focus on you create. What you resonate, the personal atmosphere you vibrate with, indeed, has a direct impact on that which you will perceive, on that which is drawn into your experience on a personal and collective scale. Your vibrational energy signature intermixes with the collective consciousness always. And so this is why you, the individual, hold the power, hold the key to transform and to realign humanity and earth with the spiritual truth, with the divine realms of cooperation, compassion, and co-creation centered in love, in peace, and in gratitude. The missing link in so many at this time who seek to make a difference, who seek to create, who seek to bring positive transformation into their lives and into the world is focus. For you say you desire something, to connect with the angels, to manifest world peace and unconditional love, or abundance, and then your mind, like a ping pong duel, bounces from idea to fear, to doubt, to belief, to new idea. Where laser focus is the direct route to creating what you desire and tuning in on what begins as a vibrational connection and expands to be just as real as the physical senses you perceive your life with. And so to attune yourself to the spiritual vibrations of truth and healing, peace and love, we begin by inviting you to relax and to let go of focus upon your physical senses, to enter in to still, calm, focused awareness. Focused upon spiritual vibration, infusing your personal atmosphere, your energetic signature with divine spirit and truth. Feel, sense, know, perceive, envision, understand the link this creates to the spiritual realm, to the realms of divine love, and to the enlightenment, healing, wisdom, and well being broadcast now. Claim these blessings through present awareness. Focus, for through awareness you retain your resonance with spirit, with the divine. You are receiving downloads of divine frequency, new waves of ascension, energy, of uplifting frequency, of peaceful energy. Attuning your personal atmosphere, your personal vibration to these realms of spirit, to the divine, to the planes of existence which over years you've learned to filter out (but which serve you in your mission, in your purpose of growth and learning and ascension) to be attuned, to tune in, to perceive the divine love present, and to draw more in. Transformation in this realm is happening and you are a key player. Know that you have been attuned to receive these blessings of the divine. And now your mental focus will determine how clearly or hazily this link, this divine truth, is felt and experienced, for you are being guided and this guidance is ready to come in with increased clarity, expanding your personal perception, increasing your awareness- made possible through you choosing to control your personal atmosphere- your thought, belief, and emotion, with increased awareness and focus. Meditation and periods of isolating yourself from thought will expand this ability to focus tenfold. In addition, mindfulness and being present where you are doing what you do. If you are washing dishes, be present washing dishes. And through this focus, clairvoyant vision, spiritual connection, the cornucopia of gifts and blessings from the divine are opened to you. Releasing wandering thought, focusing here and now expands your perception, assists you in tuning into the many planes all interwoven into the present moment, all linked through the divine light present on earth at this time, holding the answer, bringing healing and enlightenment to all in your realm through shifting the collective atmosphere by claiming the power to infuse your own vibration with the spiritual essence of divine love. Choosing to focus, allows the realms of spirit to come into view, allows you to tune your dial to perceive the full glory and light and peace available now. Now your choice is whether you anchor these frequencies into your being with focus upon love and joy or whether you return to the bouncing of negative thoughts. The information you ingest, the information you send out has an impact. Choose wisely, focus, and be aware, for the realms of spirit are opening to you now, opening to those who choose to attune vibrationally, to tune in to the divine wisdom, well being, and joy. Perceive, imagine, sense the love, divine light, and well being that is all around. I am Archangel Michael and I am pleased to be of assistance in further attuning your personal atmosphere to love. Call upon me and I will cut the cords of negativity and release the attachments to doubt and fear and guilt so that you may remain in resonance with divine healing, well being and light. I am now complete. And so it is. For More Angel Messages with Archangel Michael Click Here!! Or, Click Here to Balance Your Chakras and Restore Your Energy Body! I love to read and listen to the prayers from and for the Angels. Thank you so much. And thank you archangel Michael for guiding all of us ?